This Chamomile infused shampoo bar gently brightens blonde/silver hair. Customers tell us that their hair is subtly enriched and brightened by the Chamomile infusion and natural Lemon scented essential oils. Who is it for? Great for EVERYONE but especially good for blondes and those with silver hair. 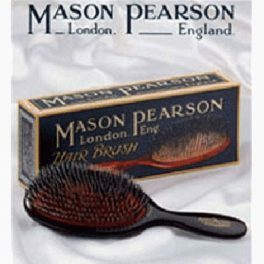 It is also perfect for people with dandruff, eczema and/or dry scalp too. What is it? 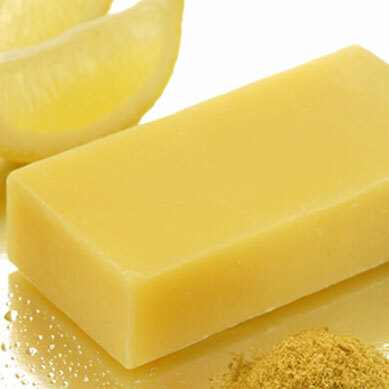 A handmade, naturally chemical-free, solid shampoo bar that is enriched with plant and nut oils; infused with beneficial Chamomile; and scented with refreshing Lemon Myrtle and lemon scented Litsea cubeba essential oils. The luxurious lather from this product will clean your hair and scalp thoroughly and gently. The colour of the bar directly reflects the ingredients used to make it. It is totally free from harsh synthetic detergents (e.g. SLS) that dry your hair and scalp and pollutes you and the waterways. Coconut oil; Mount Wellington spring water (soap nut infused); olive pomace oil; castor oil; sunflower oil; Chamomile infusion; Leatherwood beeswax; soy wax; Tasmanian seaweed extract; essential oils (Litsea cubeba & Lemon Myrtle); vinegar; Sodium borate (Borax) <1%; Annatto oil (natural colour); Leatherwood honey. I got this bar in my sample pack and so far it’s been my favourite. Has a nice subtle lemon scent and helped my dry itchy scalp so much. My hair looked fuller rather than flat and dull and I also could go longer between washes. 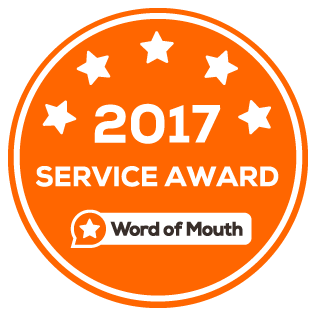 Thank you so much for taking the time to review this product! It sounds like you have found you match! We are thrilled you have had a good experience with our natural shampoo bars and have already noticed the positive differences. Yes finally!!! A zero waste shampoo bar to help brighten my blonde hair! I have naturally blonde hair which can for a bit brassy from time to time so I am always having to use a toner which is FULL of chemicals, and not only and I putting harsh chemicals into my scalp but putting them down the drain. Making the switch was a no brainer, I have been using shampoo and conditioner bars for about 6 months now so it was a breeze for me. The end result was amazing! My hair is looking lighter and feeling amazing, I did also pair it with some apple cider vinegar and my conditioner bar. I cannot recommend this product enough. 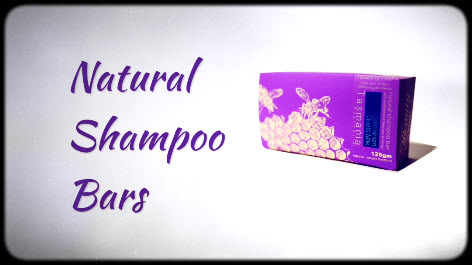 I bought the sample pack of shampoos for travel and have read about the benefits and would really like to switch to them long term as I like the philosophy and environmental benefits. I have fine blonde hair that tends toward oiliness. I have tried most of the ones in the sample pack including the lemon and chamomile bar. Reading all the reviews it feels like the emperor’s new clothes. I had the initial gunky phase for a couple of weeks and that improved and the apple cider vinegar rinse helps my hair feel smooth and it doesn’t tangle much but unfortunately after 7 weeks so far I can’t get my hair to look clean – it looks completely greasy even just after it has washed and air dried. It smells clean but looks oily and coated. 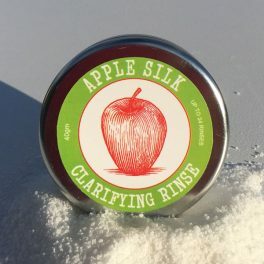 I have tried using the vinegar rinse before and after the shampoo bar. Used before my hair is slightly less greasy but I think the shampoo doesn’t wash out properly. Used after my hair is soft but looks really greasy, like it would have if I hadn’t washed it for about 4 days using the conventional shampoos. I would really love to have the results that others describe. I am not sure if it just takes longer for some people or if the shampoo is too heavy for my hair or some other reason. This is the first natural hair care product I have used. The first couple of times I washed my hair, it did feel very tacky and gunky, but after only a week it feels squeaky clean and soft. Easy to use and a nice light scent. I do have sensitive skin and it is a but harsh on my face, but otherwise absolutely love it. Beautiful! My hair feels very soft and clean and no need for conditioner. I love beauty and the bees! 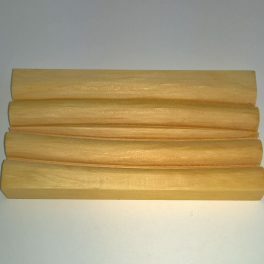 I’ve just started using the lemon and camomile shampoo bar and my hair is clean and soft. It took me a few tries but I have a routine which works now. 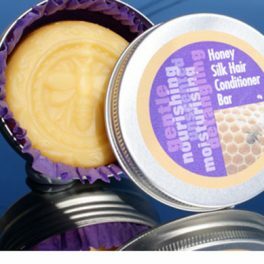 I use the shampoo first, rinse with 1 teaspn of apple cider & herb rinse + water and then finish with the honey conditioning bar. I have curly blonde hair and I find this order works for me. Great products. I love this shampoo. The lemon scent is so refreshing and my hair is so soft. It also brings out the natural blonde colours I have in my hair. The Lemon and chamomile shampoo bar with the apple cider rinse and moisture face bar are my favorite products. The natural ingredients, fantastic feel and ease of using them is so great. I would never go back to using other products. 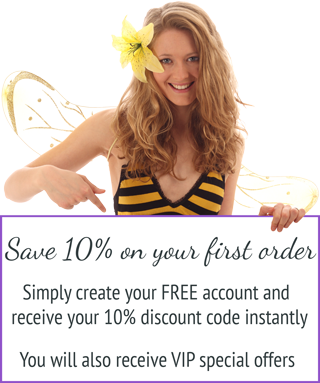 I have been using Beauty and the Bees for seven months now and just love every product I try. I thank my daughter for introducing me to your company and I tell everyone about you and how wonderful your products are. I love this product. My hair has never been shinier, softer or blonder! I will NEVER go back to using petrolium based shampoos, I even take a bar along to my hair appointments and ask my hairdresser to use it when she washes my hair! I really loved your products. I purchased the chamomile lemon shampoo bar and it leaves my hair soft and is not irritating to my scalp. 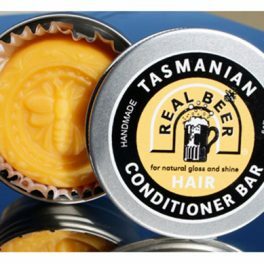 I was also sent the beer shampoo and goats milk soap as a sample and also loved both of them. Its good to finally find a company that is actually 100% natural. I purchased the chamomile lemon shampoo bar and it leaves my hair soft and shiny and is not irritating to my scalp. 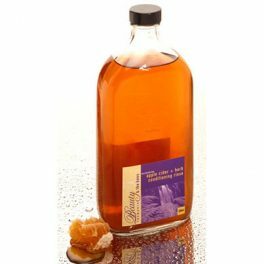 I was also sent the beer shampoo and goats milk soap as a sample and also loved both of them. Its good to finally find a company that is actually 100% natural. I have been using this Lemon and Chamomile Shampoo Bar and apple cider vinegar rinse on my grey hair for over a month now and I love it! my hair is shiny, clean and manageable too. Wonderful product…thank you! I have been using your Lemon and Chamomile Shampoo Bar followed by a vinegar rinse for three years now and I will never return to regular shampoo and conditioner. My dry, itchy, irritated scalp has healed and I no longer have split ends between visits to the hairdresser. 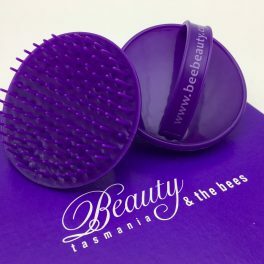 Thank you Beauty and the Bees! The instructions on the Lemon and Chamomile Shampoo Bar warn that your hair may take four washes to get used to the new regime of shampoo bar and apple cider vinegar rinse. Well, my hair is just dry after the first wash and the commercial shampoo and conditioner are going in the bin! My hair feels great! The shampoo bar produced a really nice lather and a beautiful smell. I didn’t need to use much to get my hair very clean. After the vinegar rinse, it was as easy to comb as after using commercial conditioner, but I don’t have that heavy, gunky feeling in my hair as I used to. The vinegar smell dissipated quickly as my hair dried, and I’ve just got the faint scents of lemon and chamomile left.